NTS Boxborough is a full service engineering and testing facility, capable of managing your most complex programs. With the addition of two new buildings, a state-of-the-art 10-meter anechoic chamber and our new reverberation chamber, NTS Boxborough has tripled in size and capacity. In addition to a full range of environmental testing services, we offer hydraulics, FAA Fire and electro-dynamic shaker system testing. 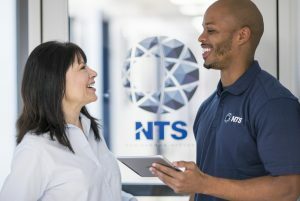 When it comes to ensuring your product is ready to meet the many challenges it will face in its operational use, NTS Boxborough is the comprehensive testing lab you want to consult first. NTS Boxborough, part of the NTS nation-wide network of EMI/EMC laboratories, provides EMC/EMI/ESD capabilities with expertise in testing to military, aerospace, telecommunications, electronics, nuclear, and other global industry specifications. Military and aerospace capabilities include immunity testing up to 200 V/m from 10kHz to 40GHz, as well as Electrical Power Characteristics testing for ground, aircraft, shipboard, and submarine applications. NTS has recently installed a copper lined reverberation chamber coupled with state-of-the-art amplifiers capable of meeting DO-160 Category L levels from 100 MHz to 18 GHz. Additional capabilities include lightning simulation indirect effects, and ESD up to 30kV. Military and aerospace capabilities include immunity testing up to 200v/m from 10kHz to 40GHz and electrical power characteristics testing for ground, aircraft, shipboard and submarine. NTS certifies telecommunications products to NEBS as well as international standards. We provide complete certification of information technology, industrial and other commercial electronic products as well as global EMC and product safety regulatory standards. In addition, our NTS Boxborough lab is one of several NTS facilities to hold Verizon ITL certification for environmental and dynamic testing. NTS is the largest independent company for environmental/dynamics testing with facilities located worldwide. NTS Boxborough is a full service environmental test facility capable of managing your environmental test programs in the commercial, military, defense, telecom and medical markets. Our technicians and engineers are recognized experts in the performance of a wide array of environmental simulations including thermal, shock, seismic, hydraulics and vibration fixture design. Capabilities include 20 temperature chambers, six of which are walk-in temperature/humidity chambers. It has seven electro-dynamic shakers, ranging from 10,000 force-pounds up to our 40,000 force-pound Unholtz-Dickie T-4000. We also have three shock towers, including a 20 foot drop test tower platform and a 4′ by 4′ seismic table. Hydraulics test such as endurance, impulse, burst and proof pressure, cracking and reseat pressure, high and low temperature (fluid and/or environment), leakage. Static pressures up to 30,000 psig, temperatures from minus 55°C to 135°C, and flows of 40 GPM can be achieved. Fuels, Phosphate Ester (Skydrol) and Hydrocarbon test stands are available. We offer custom test set-ups for both hydraulic and FAA fire testing. Whether it’s the reliable performance of a complex pneumatic system or the fire resistance of a new component for commercial airlines, we have the experience and facilities to carry out the tests you need in a timely manner. Motorized systems, especially those intended for mass production like automobiles and airplanes, must adhere to strict operational requirements — even when subjected to various levels of vibrations, noises, pressures and other potentially disruptive forces. This is when dynamics testing including acoustic, drop, impact, thermal shock, vibration, corrosion and other forms of stress testing can give manufacturers the assurance that their products are ready for use. T4000 1.75″ Stroke, 120″/Second, Velocity 40,000 force lbs. T4000 1.0″ Stroke, 90″/Second, Velocity 28,000 force lbs. T1000 (4 Systems) 1″ Stroke, 90″/Second, Velocity 19,000 force lbs. V-895 2.5″ Stroke, 65″/Second, Velocity 13,000 force lbs. Here at NTS Boxborough, our engineers have extensive knowledge of current test and conformity requirements, both domestic and international. 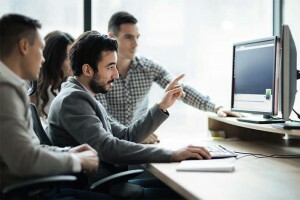 We can assist you with product assessment, define the proper requirements for design, outline the test program and provide quality verification to achieve maximum customer acceptance and cost savings. Click here to download the NTS Boxborough fact sheet for more details on specifications, tests, and capabilities. Contact us today to discuss your next program!